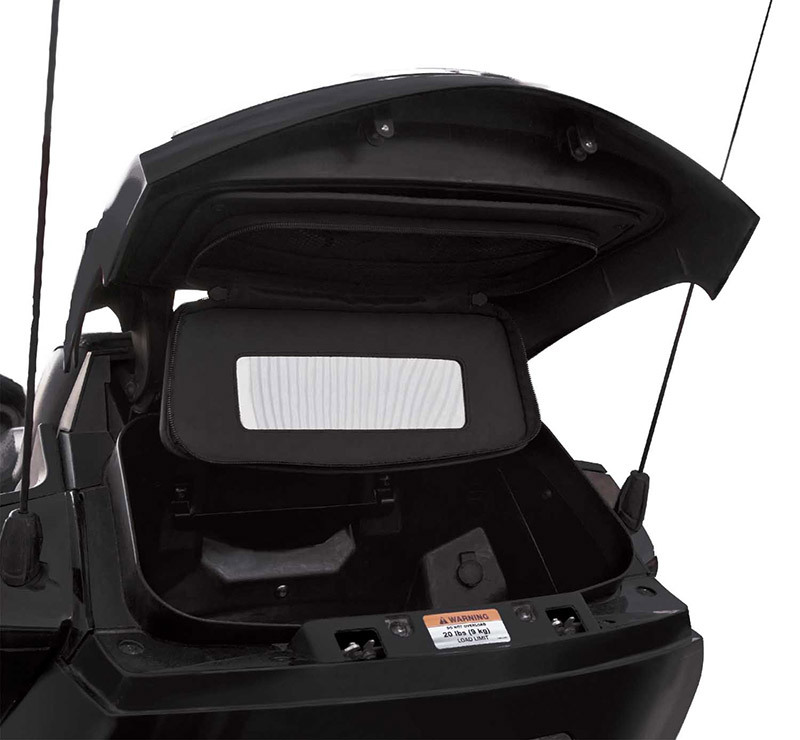 Top case mirror for rear top cargo cover.Folds open, locks up when not in use. For rear top cargo cover. Folds open, locks up when not in use. Offers a small cargo in the top case lid.